Saad Alsubaiei is a PhD student in the Management Department at Cass Business School. Interested in the areas of organizational theory, strategy and entrepreneurship. His research focuses on the relation between the societal context and organizations. He studies how hybrid organizations respond to institutional complexity, with a particular interest in the interplay between the logics of market, religion, and profession. 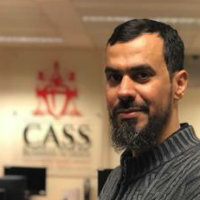 His dissertation is titled ‘Struggles of practicability: How Islamic Awqaf reconcile multiple institutional logics’, and it is based on a qualitative methodology. Arabic (can peer review) and English (can peer review). Alsubaiei, (2017). Struggles of practicability: How Islamic Awqaf reconcile multiple institutional logics. The Good Organization: Aspirations, interventions and struggles 6-8 July, Copenhagen.